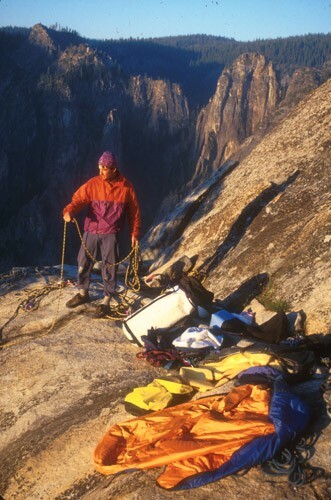 Sean Courage coiling a rope on the summit of the Zodiac, El Capitan. The route finishes just a few feet behind him. From the edge, it is 1600 feet straight down to the base.